The M-500 is widely considered the most musical of Carver's M series amplifiers. Billed as the Light Heavyweight, I've always hoped to have one with more power. Nine months ago I started experimenting, and the Carver Mk II modification upgrade is the result. 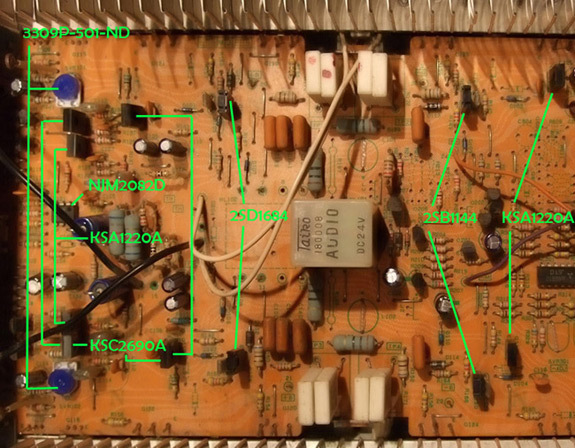 Each amplifier goes through a 2 track process. Augment: Replace all voltage rectifiers with higher current devices. Boost power supply rail voltages. Re-design gain stage for new rail voltages. 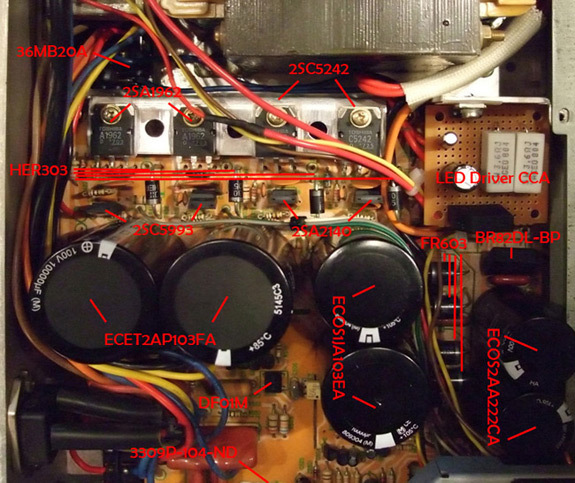 Replace all electrolytic capacitors and pre-drivers with higher voltage/current devices. Increase capacitance from 31000 uf to 44000 uf. Replace output transistors with higher current devices using 7% silver solder. During the first 15 days, if you are unsatisfied, for any reason, with the M-500 Mk II you can return it to me and I will buy it back for the sale price + $50.00. 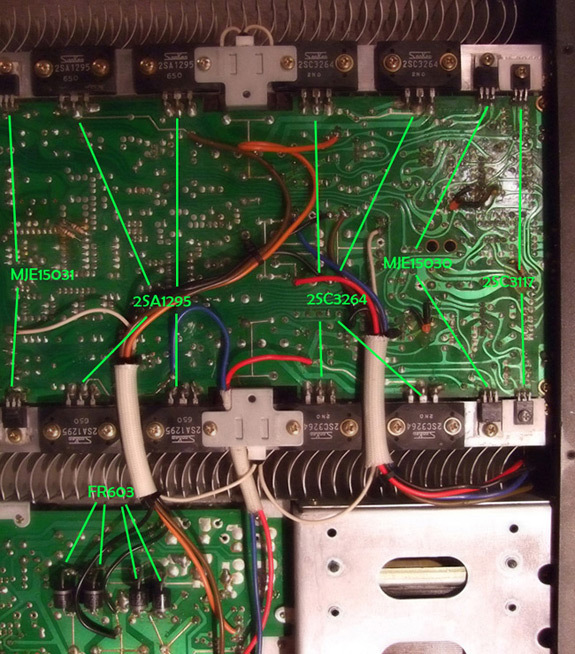 As long as we're alive we will repair any M-500 Mk II sold for cost of parts plus shipping.